Most of the species of freshwater turtles that live in Canada live in lakes or wetlands — like marshes and swamps. If the turtles remained in those areas they would be relatively safe. Unfortunately, turtles frequently leave this relative safety to lay eggs or move between wetlands. Road mortality is an important threat to most freshwater turtles. Turtles move across roads at the speed of, well, turtles. Even if a turtle perceives a car approaching it, there is little chance that it is capable of getting off the road quickly enough to avoid being hit. Here’s where you can come to their rescue! You can save a turtle from being hit by a car by helping it across the road. Here are some tips on moving turtles. First of all, make sure it is safe to help the turtle. Look both ways before heading out onto the road. If there are cars coming, don’t risk your life. It is fairly easy to pick up a turtle – unless you’re dealing with a Snapping Turtle (more on that later). Use both hands and grab the turtle on both sides of the shell. The turtle may not appreciate or understand that they are being rescued from the road. It may scratch or pee on you, so be prepared for this. If you have a firm grip on the turtle with two hands you are less likely to drop it if it does scratch you. Make sure you know what direction the turtle is heading. Always move the turtle in the direction that it is going. It knows where it wants to go. Release the turtle on the gravel shoulder of the road and it will likely quickly shuffle away from you and the road. Take a bow, as you just saved a turtle! Moving Snapping Turtles — especially large ones — is more challenging. Snapping Turtles can be fast and they can bite. They can also spin around quickly or even lunge. Do not grab the sides of the shell of a Snapping Turtle as the head may whip around and bite you. 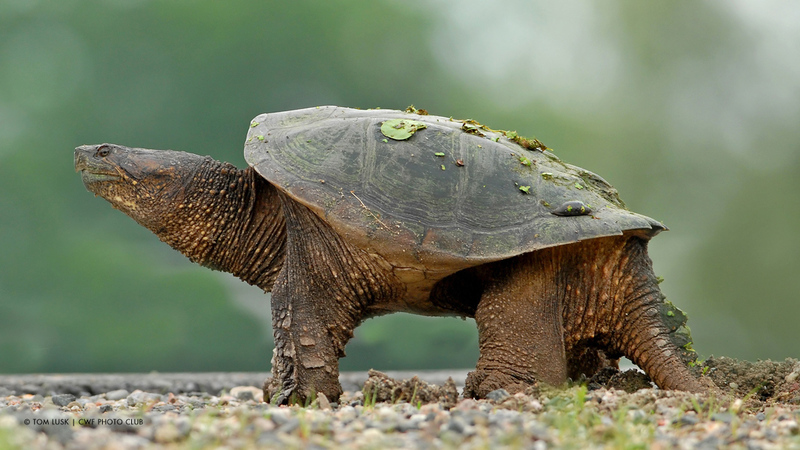 One option to move a Snapping Turtle is the wheelbarrow method – grab the back of the shell near the back legs, lift the rear end of the turtle, and walk it forward. The turtle will either walk forward on its front legs or it can be slid forward. The paved road will not harm the tough skin of the turtle. Another option is to get the turtle to bite a long stick and drag the turtle off the road. If you happen to have a shovel, used it to lift and move a Snapping Turtle off the road. Don’t lift the shovel too far above the road as the turtle may try to move and fall off the shovel. Absolutely never drag a snapping turtle! By the tail or by it holding a stick! If you pull.its tail you can hurt it’s spine and if you drag by a stick you can give it terrible road rash! The reason they snap is because they can not fit inside their shells as their plasteron (belly shell) is small and their soft leg and arm skin hangs out, if it gets damaged they can get serious infections from the dirty water. The best way to move then is grab firmly at the base of the tail and slide the other hand under thwir belly lifting it like a pizza. Keep it low as if they snap they could recoil and fall. I’m so dissappointed that the CWF would suggest an inappropriate moving technique. Thanks for your response and concern about how to handle Snapping Turtles. We agree that dragging a Snapping Turtle across the road can lead to scratches on the turtle. Trying to balance the safety of people on roads with getting turtles quickly off the road is difficult. In our experience many people do not want to touch Snapping Turtles. People are often faced with little time to make a decision on how to move a turtle. 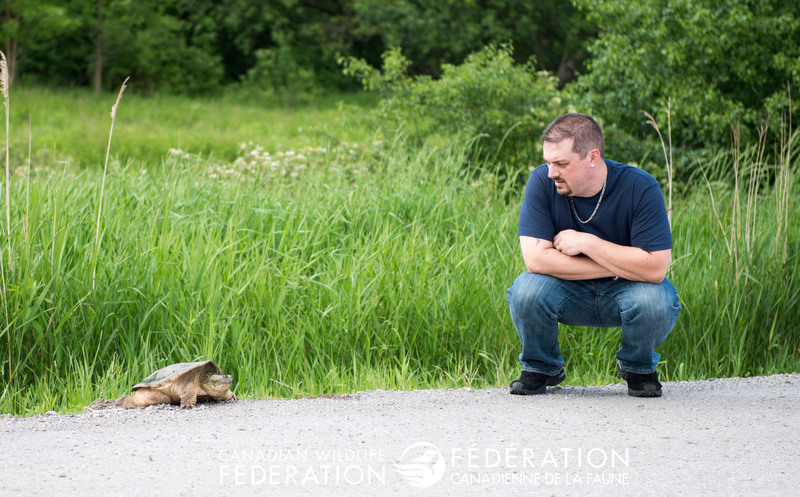 Dragging a Snapping Turtle off the road is one simple way to save the turtles life. 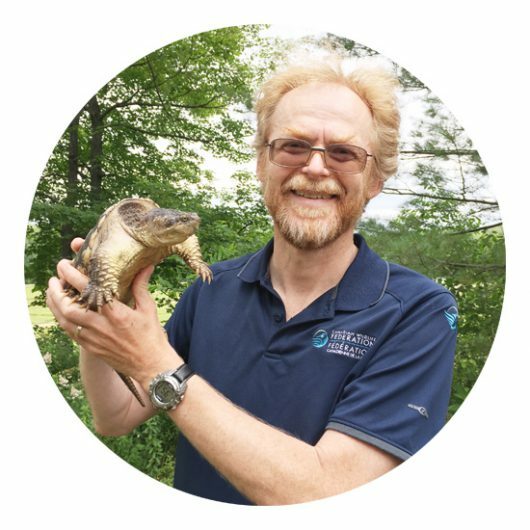 The accompanying video does show ways of safely moving a Snapping Turtle, but we agree and will add additional methods in the blog text as well. dragging it onto a car mat and pulling that across the road is also an option! Do you know where I could get the “I brake for turtles” stickers? Hi Madeline! 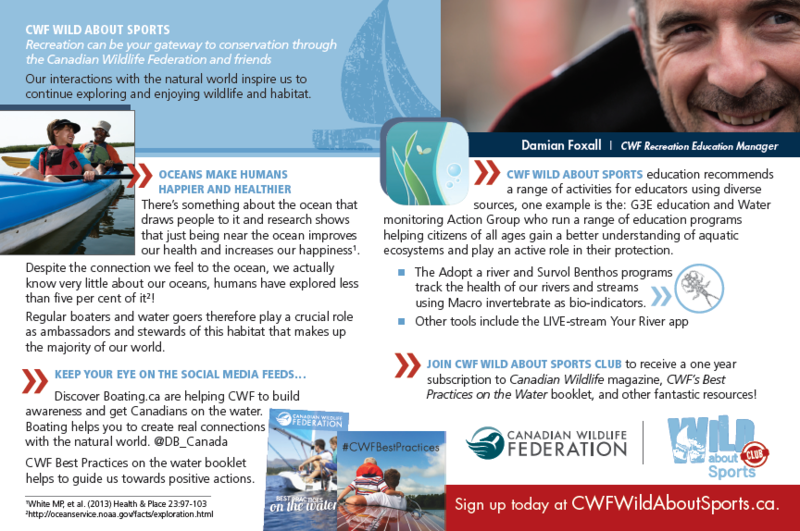 Sure, go ahead and email our marketing manager David DeRocco at davidd@cwf-fcf.org and he’ll get some for you. A yearly ritual for my wife and I on our way to and from the cottage on the weekends. We have rescued many over the years and had the good fortune of rescuing a Blanding’s turtle off Hwy 35 last spring. We keep a pair of heavy leather work gloves under the drivers seat of both our cars for the inevitable Snapping turtles we come across. Anyone who would stop and assist a turtle across might also simply carry a pair of gloves and a flat shovel/large stick in their trunk. Snappers really can be slimy and smelly, but that shouldn’t stop you from helping. I agree with the comment above to never grab one by the tail (which wasn’t even a suggestion in the article but probably should have been mentioned), but I’ve used both a shovel, and picked them up by the back of their shell (if small enough) just above the tail. Sometimes they just want to confront you, but you don’t have time so dragging them may be the only option…and better than the alternative of getting hit. I absolutely abhor people who intentionally hit them or flip them so they die. 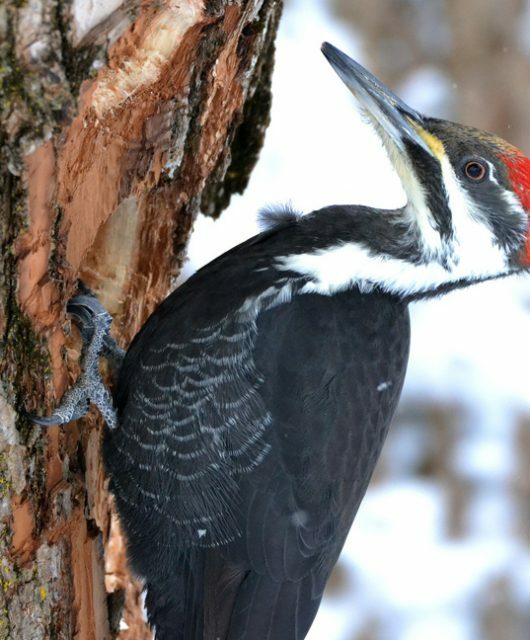 Be turtle ready and carry tools you will need with you throughout the season.